The Victorian era is the time when the fashion underwent remarkable changes and new inventions further helped to improve the dresses. During the Victorian period, Queen Victoria was the idol for women in terms of fashion. Women looked up to her for dressing style and fashion. In 1835 bonnets replaced the great hats. This change brought out a whole new character of dresses. In the early years of the Victorian era, a tight fitting pointed bodice was much longer and had a small tight fitting waist. Later on, by 1845, the boned bodice was a bit more stretched out into a V shape and the shoulder sleeve line drooped more, restricting a woman’s arm movement. The word Crin is a French word for horsehair. The crinoline suggesting a crin lining was used to give the shape a foundation. 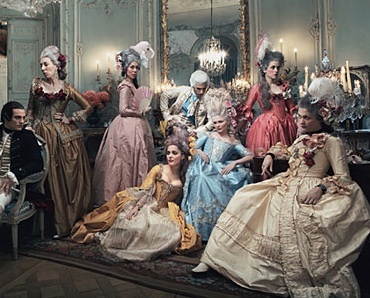 The evening occasions gave women liberty in respect of their apparel. A woman could bare the shoulder and upper part of the chest. At times the neckline was trimmed over with a 3 to 6-inch deep lace flounce which was draped with a number of horizontal bands of fabric pleats. This fashion was restricted to the upper and middle classes. Above dressing is dated between 1740 and 1785. Note the flat front of the pointed bodice, the split overskirt with exposed underskirt. This is Georgian/ Rococo/ Baroque. In order to give steadiness to the cage crinoline, sleeves were like large bells having at times open splits allowing for decorative sleeve hemlines and detachable false under-sleeves called Engageantes. These were often made from fine lace, linen, lawn, cambric. In 1866 the new Princess gown also brought about some changes in the dressing style. It was a one-piece gown consisting of several joined panels fitted from shoulder to hem. The Princess styles in the later years of the era were slimmer and better fitting. Since 1870, ball gowns always had a train which was later on also seen in day dress. By 1880s, women had a different look as compared to the earlier women. The cuirasses bodice reached the thighs. It was like a corset, dipped deeper both front and back reaching well below the hips. In 1883 a new style of bustle emerged. It was larger than the one made before. The new bustle dress had a minimal drapery compared to the earlier and a slimmer fitted princess bodice having a flatter front. By 1889 sleeves developed slight leg of mutton outline which required support. 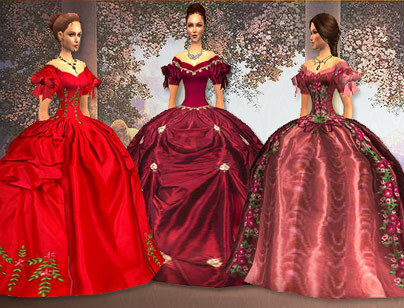 The Victorian gown fashion thus underwent several changes throughout the Victorian era.